Experience all your Android device has to offer! 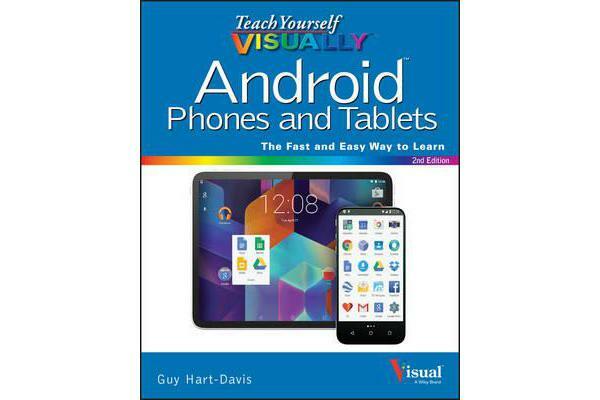 Teach Yourself VISUALLY Android Phones and Tablets, 2nd Edition is the perfect resource if you are a visual learner who wants to master the ins and outs of the Android operating system. With step-by-step instructions driven by targeted, easy-to-understand graphics, this informative book shines a light on the features, functions, and quirks of the Android OS?and shows you how to use them. With the guidance provided by this easy to follow resource, you will quickly access, download, and enjoy books, apps, music, and video content, as well as photos, emails, and other forms of media, right from your phone or tablet! This book is perfect for Android users at beginner to intermediate levels. The Android operating system is graphics intensive, which is why a visual guide is the best way to navigate your Android device. Now that the Android OS is available on both phones and tablets, you can maximize the productivity and convenience of your devices by mastering the features, functions, and quirks of this operating system. Explore the latest Android features and functions Peruse full-color illustrations that walk you, step-by-step, through instructions for using the Android operating system Discover how to access, download, and enjoy multimedia content Sync your Android devices to maximize their capabilities Teach Yourself VISUALLY Android Phones and Tablets, 2nd Edition is the top resource for visual learners wanting to further explore the capabilities of Android devices.